Achieving work/life balance in aviation: New approach or new carrier? Finding work/life balance in aviation is a real challenge. The dynamic nature and intricately-planned schedules of the industry mean that, all too often, work/life balance comes second to operational efficiency. However, you don’t have to be bound to an overly hectic lifestyle to work in aviation. The tips and vacancies covered in this article should help you find the balance you need. Obviously, all airlines have different employment criteria, and some working practices simply can’t be changed. If your lifestyle’s changed (e.g. your family has grown), you’re reaching the end of your career or you have the financial means, think about accepting a part-time or temporary contract in place of a permanent offer. Depending on your current arrangement, you may be spending a lot of time commuting or in hotel rooms. Try to use this time to clear the decks for when you’re at home. For example, get any tedious life admin tasks out of the way so you can spend more quality time with your loved ones. Regardless of our working patterns, we’re all inherently social beings. Make sure you have as many communication options as possible. Facetime, Skype and other video call platforms should help you feel more connected than an audio call alone. Also, be proactive in making plans for when you’re away. If you’re travelling somewhere you have friends, or flying with colleagues you know well, organise a meal or a spot of sightseeing. But, don’t be afraid to cancel plans if you’re too tired or pushed for time. No matter what other measures you take, enjoying the work you do is key to achieving work/life balance. Although aviation jobs normally follow a precise structure when it comes to time, there are still opportunities for you to share a light-hearted moment with colleagues or customers. Christmas is a great example of this, as many airlines encourage staff to get stuck into some nice food or don a Santa hat to cheer passengers. Even with all these steps in place, achieving work/life balance in aviation often comes down to finding the right role. • Airbus A330 First Officers at HiFly: Among the best commuting roster contracts around, these vacancies promise first officers an epic 20 days on/12 days off shift pattern. • Airbus A320 Captains at Scoot: Explore the exotic delights of Singapore in your downtime and broaden your horizons with a generous permanent contract from Scoot. • Boeing B777/787 Captains at Turkish Airlines: Enjoy a commuting roster pattern with one-in-four weeks off, family staff travel, health plan provision and loss of licence coverage. 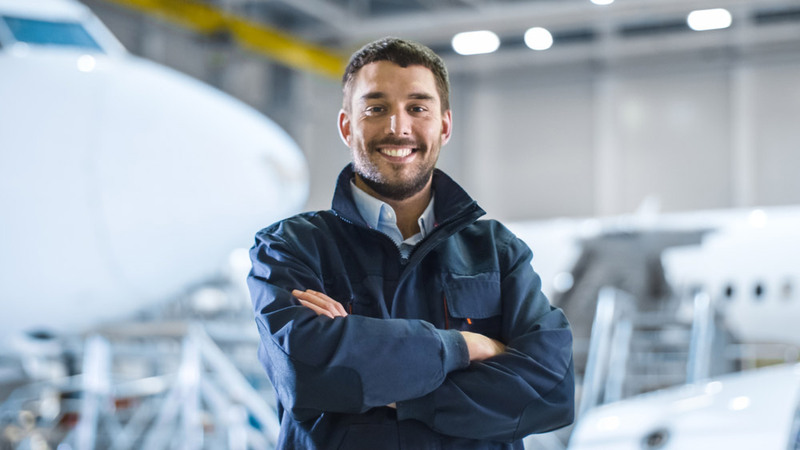 Discover more incredible aviation job opportunities with a little help from the experts at AeroProfessional.